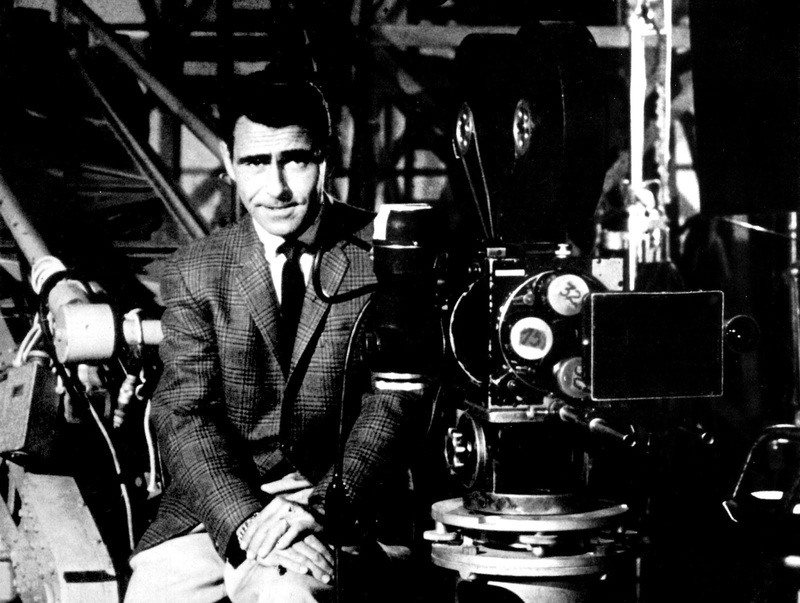 Forty years ago today, on June 28, 1975, writer Rod Serling passed away at 50 years of age after complications from heart surgery caused by overwork and a lifetime of heavy smoking. Serling, a 5 foot 4 inch army paratrooper, was noted for his bravery under fire while fighting in the Pacific theater during World War II. He was wounded on more than one occasion, earning him a Purple Heart and a Bronze Star. He saw much of the brutality and gruesome horror of that war and, along with many veterans, found writing a cathartic experience. Frequently, in his opening narration in The Twilight Zone Serling would intone, “Submitted for your approval . . . ,” a phrase he likely often used in his submission of work to various publications. In a way, Serling approached his viewers as though they were his editors. All writers suffer from bouts of insecurity regarding public acceptance of their work and Serling received forty rejection notices before he sold his first story. That’s just forty individual rejections, if a TV series bombs that’s forty million rejections. Serling’s struggles with network executives were because his writing wasn’t aimed so much for those who agreed with his ideas, but rather at those who disagreed, or never entertained a deep thought beyond their own immediate needs. Serling wrote cautionary tales about success, racism, hubris, arrogance, greed, narcissism, and all the foibles that make us human. Though regarded as a science-fiction show, The Twilight Zone, more often than not, presented character studies of everyday people facing their inner fears — usually with a chance for redemption or damnation. Through his writing, and particularly in The Twilight Zone, Serling tried to give sight to those members of the human race whose vision did not exceed the narrow confines of the reality to which they gave themselves over. Patterns, Serling’s first major televised screenplay, was prophetic — not only in its exploration of the human dilemma in the 20th Century, but also in his own future battles with the networks and within himself. Patterns is the story of power, ambition, and the price tag that hangs on success. It is also a conflict of youth versus age. For every man who goes up, someone has to leave, and when the departure of the aged is neither philosophical nor graceful there is an aching poignancy in the changing of the guard. I was writing [in Patterns] about the values of a society that places such stock in success and has so little preoccupation with morality once success has been attained. This is not the morality of good and evil, this is morality’s shady side of the street. Herein do we see with Patterns the genesis of The Twilight Zone — a shadowy world we enter not because we can’t tell the difference between good and evil, but rather it is the gradual submission of our wills and the sublimation of our true natures and our individual selves to the world around us that traps us within the world inside. Serling’s early success with Patterns led him to more opportunities, more success, and yet more battles with networks and sponsors who were continually making changes to his scripts over everything from content to product placement. Serling’s battles with network executives are well-documented, and the battles would eventually consume him. 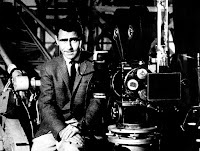 Serling wrote 48 of the 65 episodes of the first two seasons of The Twilight Zone, and 90 of the series' 156 total episodes over five seasons — quite a lot compared to today's more typical 24 episode season. 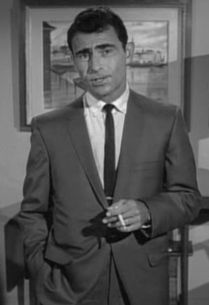 Serling's need for creative control drove him to become involved in many aspects of the production, and the resulting stress created a five pack a day smoking habit that would eventually kill him. Indeed, one theme that Serling often revisits in The Twilight Zone is the merciless pace of the business world, overbearing bosses, and the loss of our childhood innocence. We can see this in such episodes as “Kick the Can,” where a group of senior citizens are transformed back into their younger selves; “A Stop at Willoughby,” written by Serling himself, where a stressed-out businessman seeks to escape the pressures of the present in his past; and "The Bewitchin' Pool," where the children of a rich and successful (and miserable) couple seek a simpler life. Every writer has certain special loves, hang-ups, preoccupations, and predilections. In my case, it’s a hunger to be young again. A desperate hunger to go back where it all began. A bittersweet nostalgia for a time well-remembered. It is probably no surprise that Serling selected "The Bewitchin' Pool" as the final episode of the series. It is a criticism of the of the modern American affluent lifestyle, for the material rewards it provides often comes with a price. The story echoes Serling's own growing desire to escape the rat race, which he eventually did on June 28, 1975. Shooting out into space at the speed of light is the audio and visual detritus of our civilization. Eventually, these stray signals will be all that is left of us, far long after our sun has burnt out and the last human has taken his last breath. There, in the background static of the cosmos will be Rod Serling’s gray visage, like a ghost — a ferryman on our own personal river Styx. A shadowy subconscious guiding us between the twilight and the night. Extremely well-done article on Rod Serling, Mr. Urso. I'm pretty discriminating concerning written content - and I'm REALLY particular concerning the veracity of the information in articles, reviews, and data that contain Rod Serling as the subject matter. That said, consider this an extreme compliment. I've written essays about the inimitable Rod Serling, and I daresay you didn't miss much in this posting. I reiterate: well-done, lad! I forgot to add, that I completely concur that the PBS American Masters Documentary dedicated to Rod Serling is an exemplary production about the fine and noble gentleman that was Rod Serling. Wow - I'm blushing! It's one of those articles I wrote in my head for years before I finally got it down.It's hard to find something new about a topic like Rod Serling, so I try to write articles I would like to read, and try to write it as well as I can. I'm very encouraged by your kind words. Thank you!